Macey and John held their wedding at The Hitching Post of Maine. The Hitching Post is located in Dayton and is, without a doubt, one of the best rustic locations Maine has to offer. The barn has been redone from floor to ceiling as it once housed equipment & animals amongst other things. 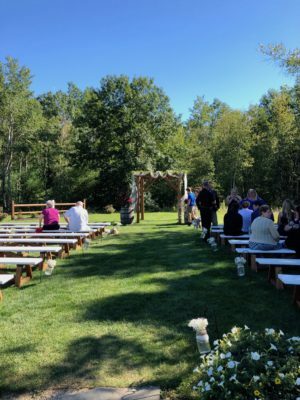 A lot of the wood that was taken from the barns original features has been used to create tables and other fixtures on the location to give you that Maine Rustic Wedding authenticity you are looking for. 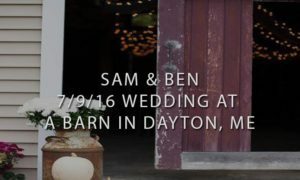 Macey and John’s rustic wedding was reflected in their music choices, the venue, and the small details like the table decor and choice of menswear for the ceremony. Beautifully executed Maine Rustic Wedding. The ceremony was absolutely stunning – Macey and John tying the knot under the sunlight of a beautiful September day in 2018. Short and sweet you could feel the couples love no matter where you were in the state that day. They shared heart warming vows and started their lives together as husband and wife. 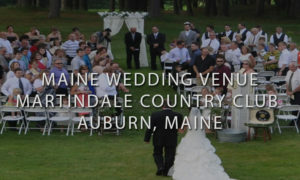 Angela is the owner and on site event manager for The Hitching Post of Maine. She is an absolute pleasure to work with. Angela has a passion for your wedding day and will be sure that everything goes off perfectly. Having been in business for a short period of time her barn books out 2+ years ahead of time. It says a lot about Angela and her beautiful location. Get your wedding date secured if you want to tie the knot in one of Maine’s best barns – with Maine’s best onsite manager. 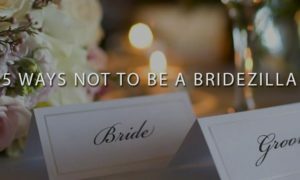 Bridezillas: 5 Ways Not To Be One!